1. To keep templates from slipping when cutting fabric. A couple of pieces of tape on the back of the template will help keep it place with less shifting. Leaving no sticky residue when it’s removed. 2. Marking the sewing line on the machine. If no 1/4″ foot is available, placing the tape on the machine 1/4″ inch from the needle will help keep all seams uniform. This works well when sewing something with a larger, or smaller, seam allowance. There aren’t special foots for every seam size. 3. Remove loose threads. Once the quilt is finished, or even as we’re sewing, threads find their way to the top of the project. If a lint roller isn’t available, balled up tape will easily remove those threads. Works on our clothes before going out too. Because while no outfit is complete without a few threads, we don’t want to look as though we rolled on the thread-covered floor. 4. Marking the measuring line on the template. Most template have several measurements on them, it makes them more useful and we can make items in various sizes. Sometimes, if I’m not careful, I cut my fabric too big or too small because I followed the wrong line. The blue tape used to keep the template from shifting, will also work to help me keep all my cuts uniform. Simply place the straight edge of tape along the appropriate line. No more miss cuts. 5. As a quick thimble. 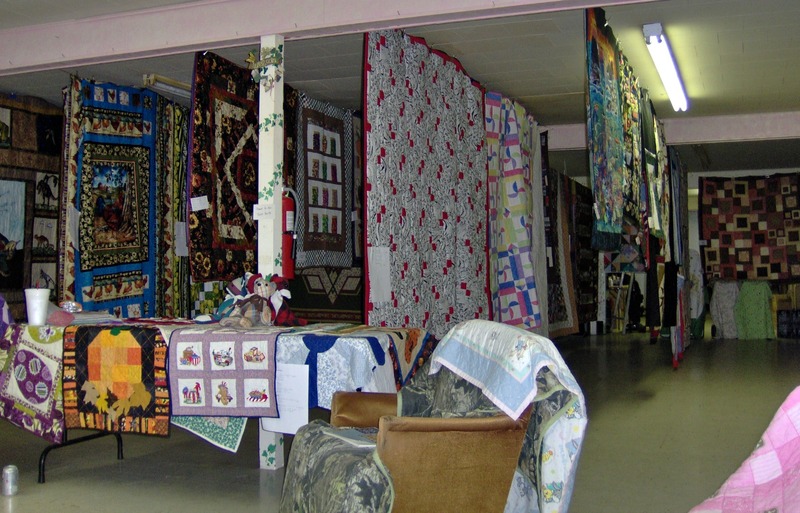 Many quilters have a collection of thimbles. Not me. I don’t like them, and haven’t learned to use them. Still, there are times when hand sewing that a thimble will be helpful. On those days, wrapping my finger with tape will work. Masking tape can also be used in place of painters tape. However if using the tapes on the templates or sewing machine, remove them after completing a project to ensure no sticky residue remains. Have you ever used masking, or painting tape in your sewing/crafting projects? Do you have another use for the tape? Do you have another quick fix thimble? This post is part of the 31days of Shopping The House for Sewing Supplies. This entry was posted in 31 Days, sewing, tips, tools and tagged bloggers, devoted to quilting, diy, Home, masking tape, painters tape, quilt, quilters, quilting templates, sewing machine, sewing room, thimbles on October 11, 2013 by Nita. Save time and money. Shop at home. The time you save can be used working on a project. The money will go towards your next fabric purchase. Shopping at home allows us to finish our projects without making a trip to the store. Today we’re shopping in the kitchen for emergency sewing supplies. There it is. In your cabinets with other kitchen papers. The roll of wax paper. What can you do with wax paper. 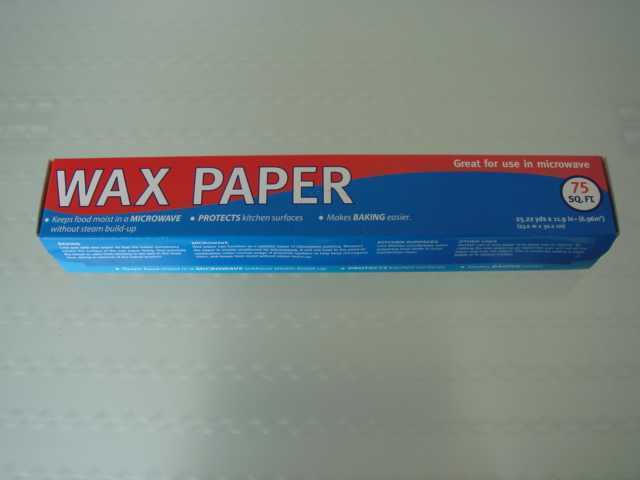 Allow me to wax on about the benefits of wax paper in the sewing room. 1. The paper can be used for quilting over tee-shirt quilts. Often the presser foot will stick to the design of the shirt, making quilting difficult. Placing the wax paper over the design allows the presser foot to glide. 2. Draw the quilting design on the wax paper and place the paper over the quilt. Since you can see the quilt pattern through the paper, you will be able to tell if this pattern works for this quilt. 3. If you don’t have fusible handy when making a tee-shirt quilt, wax paper will help stabilize the stretching tee-shirt fabric for sewing. 4. Use the paper as a quilting template. Draw your quilting design on the paper then pin it to your quilt top. Stitch through the wax paper following your design. The wax paper will tear away when you’re finished, tweezers will help get the tiny pieces. 5. In a pinch wax paper can be used in place of a silicone sheet when pressing fusibles. The sandwich your fabrics between two pieces of wax paper. The paper will protect both your ironing board and your iron. This entry was posted in 31 Days, challenges, quilt, sewing, tools and tagged bloggers, devoted to quilting, diy, family, Home, quilters, quilting, sewing, sewing tools, wax paper on October 4, 2013 by Nita. Spoons are for more than stirring. I love my wooden spoons. They serve several purposes. On the rare occasions that I cook, they are great for stirring mixes together, stirring food in the skillet or saucepan. I’ve even used it to move the ingredients in the blender. However, my favorite use for the spoons is in the sewing room. To be more correct, with my sewing since I sew in the dining room, cut and iron on my kitchen bar. Maybe I should have started with the bar as a sewing tool. I digress. I love the wooden spoons for sewing. First, they are great cold irons. They can “iron” the seam to one side, or open if need be. 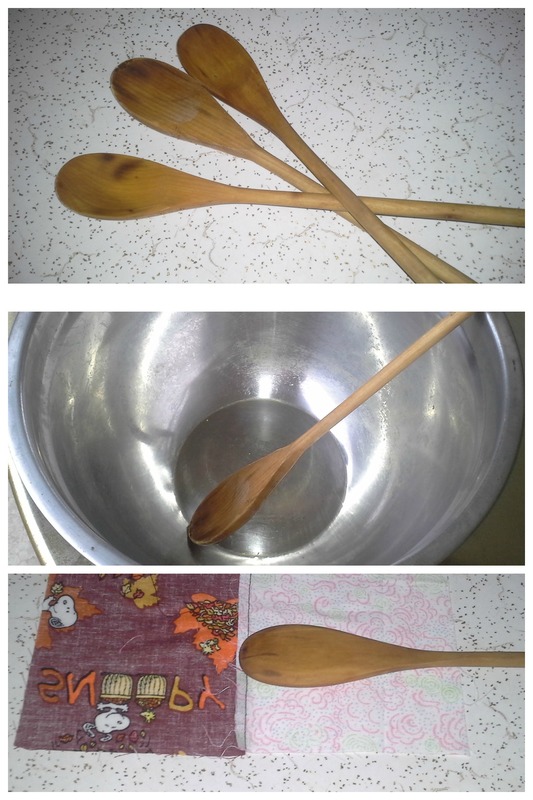 If you don’t have a cold iron, try using your wood spoon. The handle end works for helping to push stuffing into a narrow tube. The handle can also be used to help turn a tube right-side out. Linking up with The Nester in the Too Awesome to Categorize category. There are almost 200 bloggers in that category alone. There are eight other categories, each just as full. Enjoy the awesome blogs. This entry was posted in 31 Days, sewing, tools and tagged bloggers, devoted to quilting, diy, friends, Home, quilting, sewing, sewing tools, wooden spoons on October 2, 2013 by Nita. Quilters,and sewists, love gadgets. Even if we missed the shoe buying gene, the shopping gene, and the “must have chocolate” gene, we seemed to have managed to acquire the, “anything for the sewing room” gene. We have multiple sewing machines, templates, scissors, and untold number of items designed to make our sewing life easier, or just because we like them. Sometimes all of those nifty gadgets and tools cost money the electric company insists on having. If not, they will make sure our sewing machines and lights don’t work. Bother! Other times, it’s not money that stops us from adding to our ever-growing collection of helpful items, it’s time. We are working on a project and need something RIGHT NOW. Not tomorrow, or next week, not even in an hour. We want/need it NOW. We don’t have time, or want to take the time, to run to the store and purchase the item. We begin to scour our house, we look in the kitchen, the office, even the garage, for something that will suffice. So, for the next time you’re in dire need of a tool you don’t have, look around your house. To help you locate these multi-use items, for the next 31 days, I’ll be highlighting one for you. I’ll also be linking up with The Nester, where over 1000 others bloggers are gathering and sharing their 31 day blogs. The blogs cover a variety of subjects divided up into specific categories. You’re sure to find something you enjoy. I’ll be posting a list here of the items I cover, so you can find them easier. Do you have any sewing room tools you enjoy using that were designed for another purpose? Share them in the contacts. This entry was posted in 31 Days, sewing, tools and tagged 31days, Blog, bloggers, devoted to quilting, diy, friends, quilt, quilters, sewing, sewing machines, sewing tools on October 1, 2013 by Nita.